The Iiyama 65″ Interactive LCD touch screen from VideoCentric provides meeting rooms with a high quality LCD touchscreen with integrated whiteboard software, allowing users to make annotations on files opened directly from a USB device or internal storage. Supporting playback of presentations, videos or most content stored on a USB memory device, this exceptional LCD display guarantees fantastic viewing from any angle and delivers the highest quality images to anywhere in the meeting room. The Anti-glare coating used on these professional displays enables meetings to take place without worry about reflection and light sources that may affect colour reproduction, sharpness of images and contrast of colours. Screens are less susceptible to grease and dust collection. 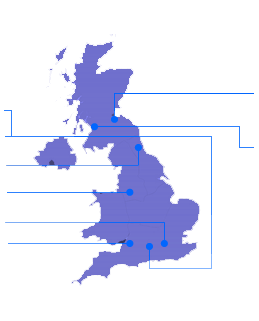 VideoCentric provide a 3 year courier swap warranty for all Iiyama displays we provide for corporate use, and 5 years on-site warranty for Education purposes. This includes a de-install/re-install process so that customers are never without their technology. The Iiyama boards are the perfect addition to meeting room collaboration solutions. VideoCentric provide Ilyama displays for many organisations who are looking to have interactive displays with their Video Conferencing and collaboration devices, with improved support, warranty and quality than other leading Interactive Whiteboards and interactive display manufacturers. Want to see an Iiyama display in action, or find out more about how the board can fit into your meeting space? Get in touch today – we’ve an Iiyama display installed in our newly renovated demonstration suite in Wokingham, and our installations team can help you plan your meeting space to include these fantastic quality professional interactive touch displays. 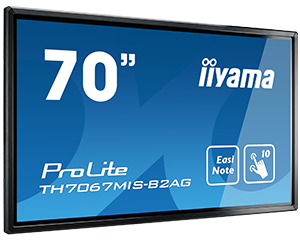 Want pricing for Iiyama technology? Contact our team today who can provide you with a quick quote including all the pricing options.